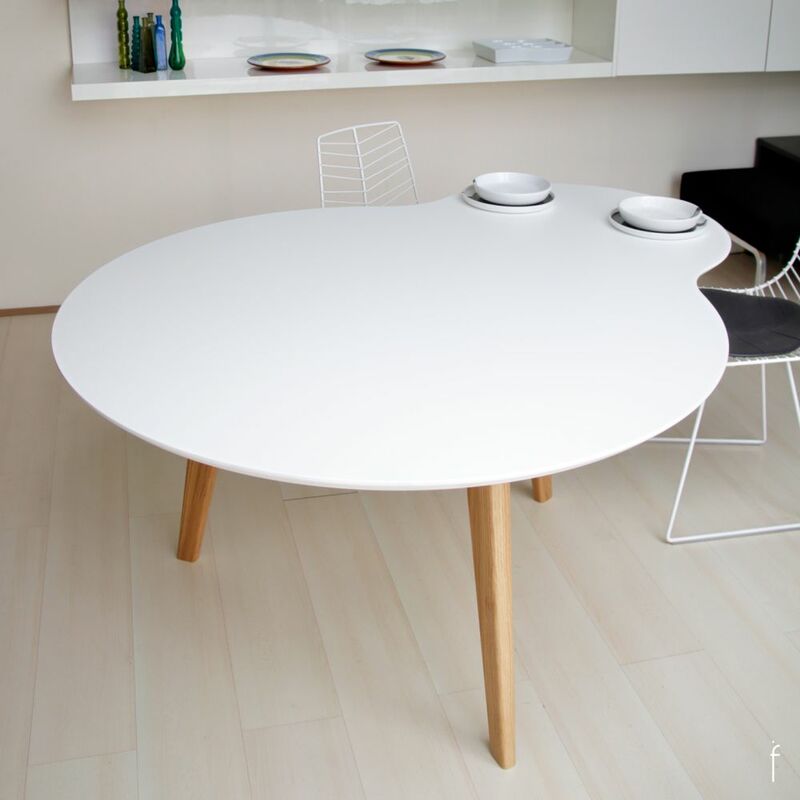 Union, the small-large table which “unites” and unites us. For us who seek contact with the person we love. Who are open to new ideas. Ideas that bring us closer together. Two circles are joined to give shape to a single table. With a new design approach for flexible use: from a dinner for two, to a big celebration. A piece of furniture for all occasions. Inspired mostly by nature, his work as product designer is centered around reinterpreting and designing everyday objects, while adding a "good dose" of personal creativity as well.